보통은 부드러운 천에 사용되는 지퍼를 딱딱한 나무 가구에 적용하여 가구와 결합시켰다. 지퍼고유의 톱니모양을 과장되게 표햔함으로서 가구에 위트를 더했다. ZIP:PER1,2 는 열린 틈으로 책을 수납 할 수 있도 록 만든 책꽂이이고 ZIP:PER3은 와인랙이다. Zippers are usually sewed on fabrics. i put them on the hard furniture to give a new shock. The exaggerated zippers make the furniture witty and humorous. 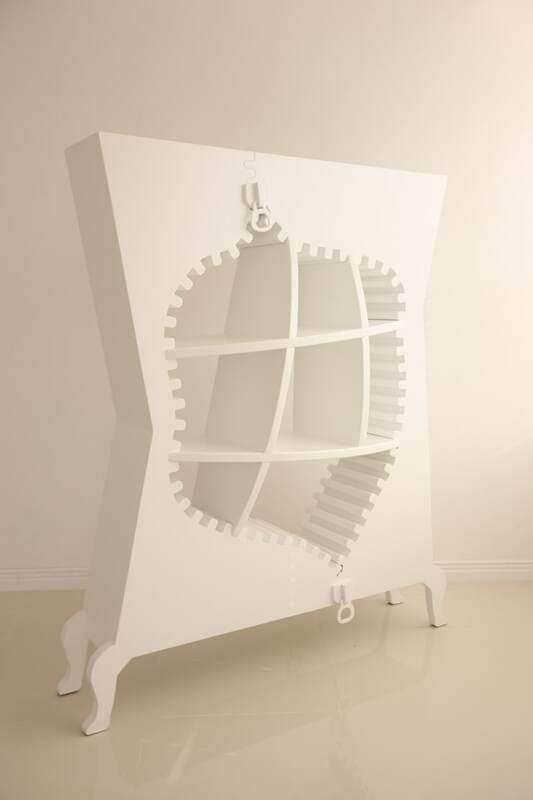 The series of ZIP:PER1,2 are the bookshelves which can put the books inside the teeth.And ZIP:PER3 is a wine rack. 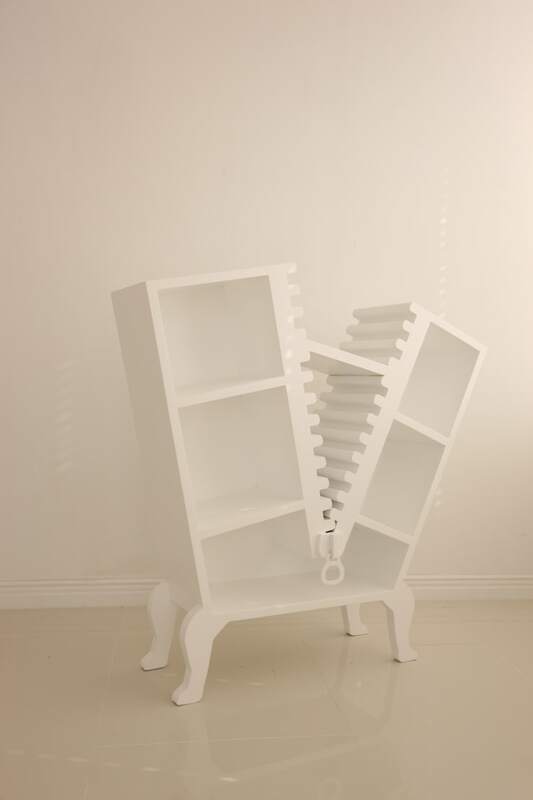 ZIP:PER1 is a v-shaped bookshelf which has a slap to look inside. ZIP:PER2 shows inside sneaking out through the zipper. ZIP:PER3 displays a zipper transformed as opened one.